After a decade of living here and forcing my brain to work with kanji for cold medication instructions (which is not really that hard to do if you know days 日 and times回) I was absolutely shocked to find this on the back of the box of the same cold medicine I've been buying for years. I usually buy medication based on the pictures provided on the box or brand loyalty. 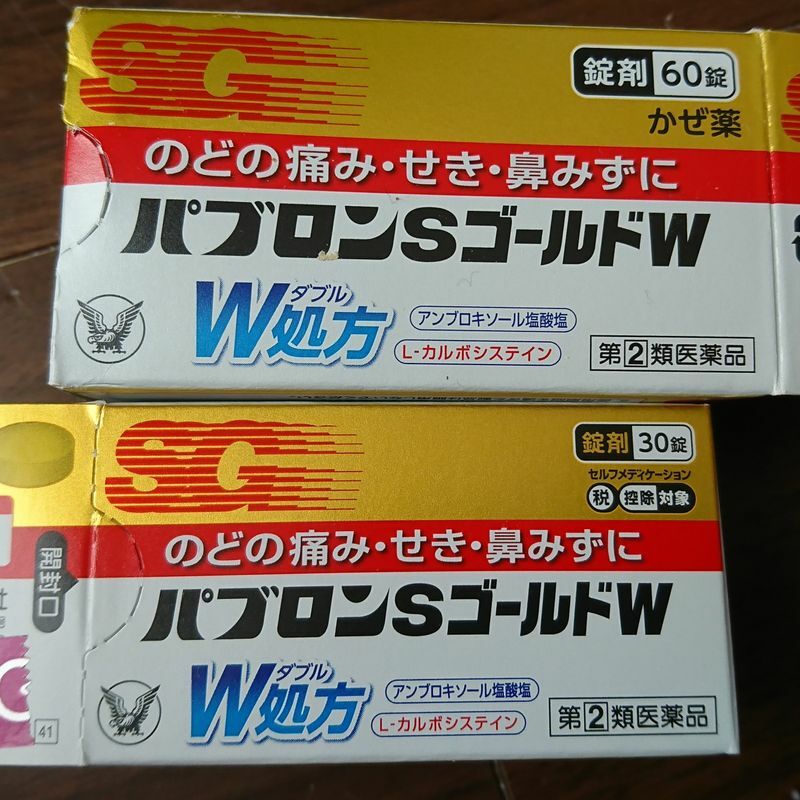 My brand loyalty is really based more on my lack of kanji reading ability than a real feeling that one brand is significantly better than the other, but this brand of cold medicine always had a decent guide chart, even if it was always in Japanese, so I felt confident in taking it. It had never before come in English, though. While I admit I didn't even see the English component until I was literally in the checkout line, it still made me smile. Somewhere in some company, someone was thinking about foreign people being in Japan with colds and not necessarily having the language ability necessary to read the entire box in Japanese to figure out how to get help. Someone out there knew that I, the functionally illiterate foreigner, was not just a visitor who would be back in their home country before their cold symptoms became serious. Someone actually thought about us, the foreign residents who aren't fluent enough for a whole medicine box but still have the ability to catch a cold and need help. This isn't something that is easy to describe to people who have never been foreign in such a homogeneously non-foreign environment, but I felt seen. Not stared at, as I am when someone from the countryside comes into town and can't figure out what to make of me. Not watched, as I sometimes am by confused staff in stores. Not shouted at in the few words of mispronounced English a random shopkeeper may employ. Seen, acknowledged, and granted necessary information in a comfortable and comforting manner. 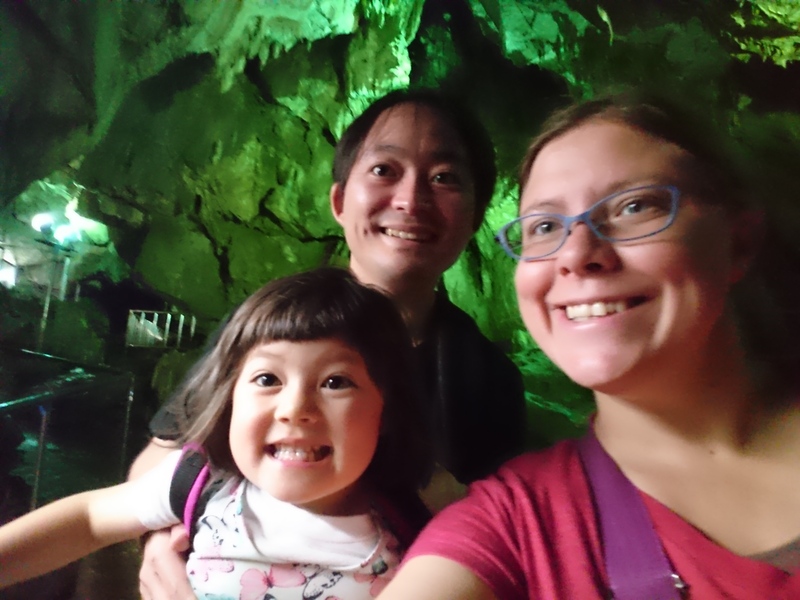 It was totally unexpected and really nice. 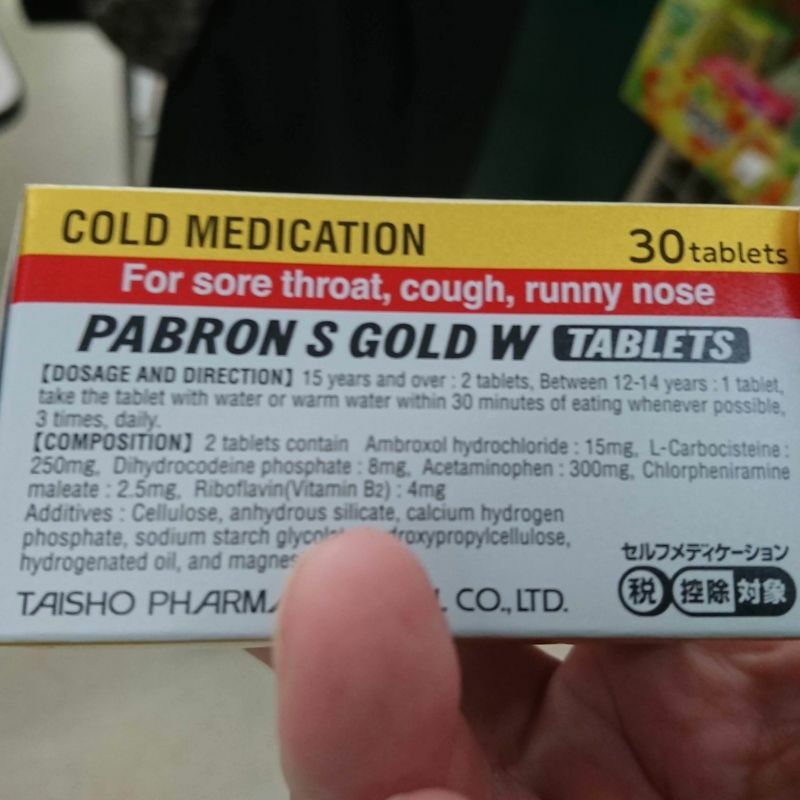 So if you're in Japan and needed cold medication in English, check out SG's Habron S Gold W. There was even a list of paper instructions inside in addition to the English on the outside of the package. As you can see, it's good for sore throats, coughing, and runny noses. If a sinus infection has got you down and you don't have the time to head to a clinic, this over-the-counter option will likely help, and do it in English.